Kids love art projects, so put them to work! Make an afternoon of it. Cut out paper pumpkins, ghosts and bats to decorate and hang up. Collect rocks to paint and display (see more here). Cover lollipops with white cloths or tissue, tie a bow around the stick to keep it on, and draw faces on them to make cute or scary ghosts. Place them in jars, buckets or vases and place them around the house. 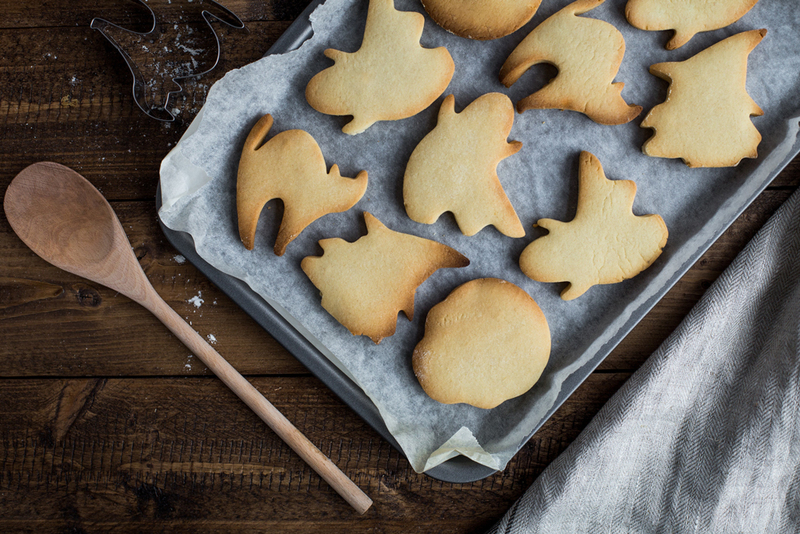 Encourage your guests to take the ghosts as favors when they leave. The great thing about favors that can double as decorations is there’s less to clean up! Put candy or small Halloween goodies in balloons. Blow them up and give them jack-o-lantern faces, then hang them around the house. At the end of the party, pop them like piñatas and let your guests collect the treats! Not into crafts? You can decorate with uncarved pumpkins and colorful gourds. 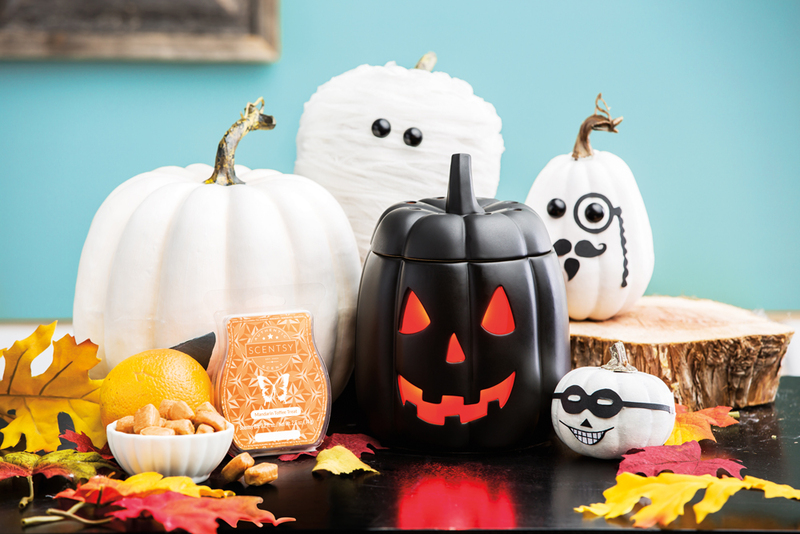 Or choose a Scentsy Warmer from our Harvest Collection — Rustic Pumpkin, Salem, Mr. Bones or Jack, who has all the charm of a carved pumpkin without the hassle or the mess. Warm your favorite seasonal fragrance to really set a festive mood! Make it a pumpkin carving party and ask your guests to supply the pumpkin of their choice. For easy clean-up, set up newspapers or old sheets outside and enjoy the fall air while you carve and decorate. Or how about dessert decorating? Adults will do the baking, of course, but kids love to be helpful in the kitchen! You can always pre-bake cookies and brownies, then embellish them with frosting, icing, candy and sprinkles. Put on a movie, set out some munchies and enjoy! Simple options include popcorn, snack mix and drinks. When it is time to tackle the mess, don’t forget about Scentsy Clean products. Counter Clean is just the thing to take care of the sticky candy or pumpkin that’s left behind. Plus, it will leave your home smelling great! Do you have any simple Halloween party ideas to share? Tell us in the comments. Separator image Posted in Tips & Tricks.